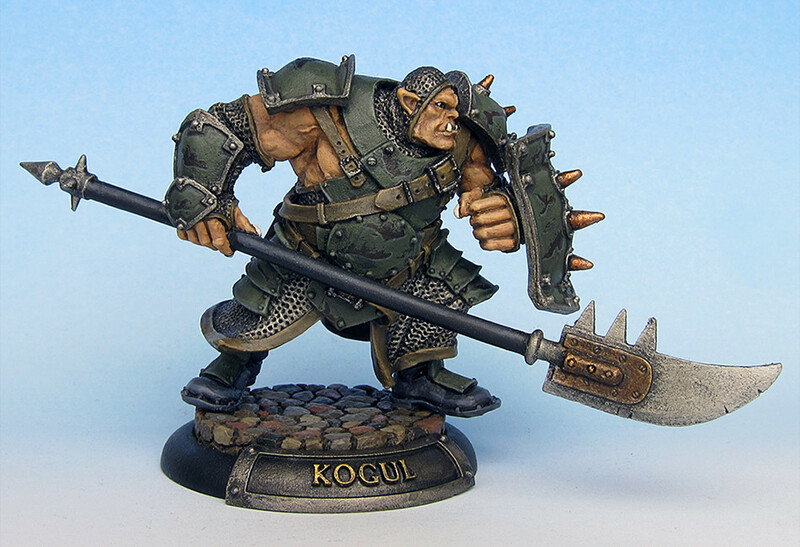 Born in a small village on the shore of Armsdeep in Rhul, Kogul grew up with traditional Ogrun values. Like most of his brethren he focused on training his strength, endurance and martial prowess from a young age, regularly taking part in official and unofficial fighting contests. 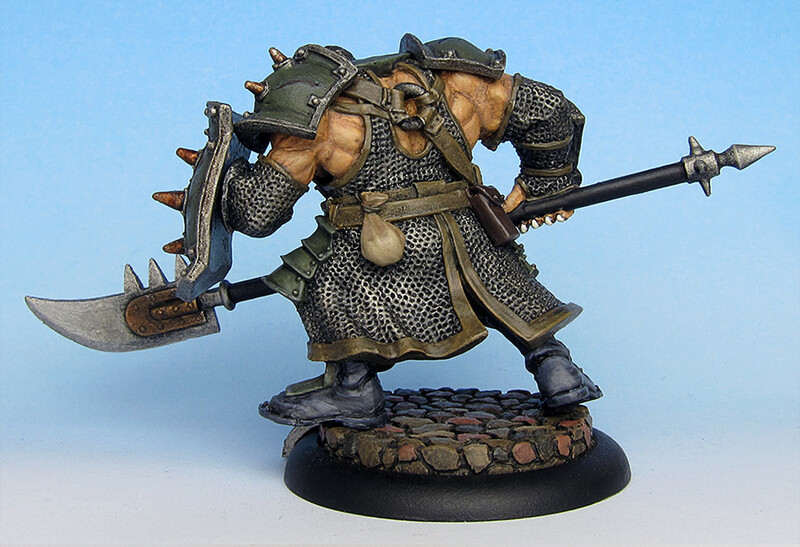 After working as a bouncer for some time his life and homeland seemed more and more boring to him as he grew older. 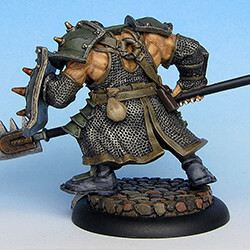 He had been watching caravans headed south to the core of the Iron Kingdoms for years. Longing for adventure and challenge he decided to join one of the caravans heading to Corvis as a hired guard at the age of 23. To his immeasurable disappointment the journey passed without incident. But he had arrived in the big city and he was looking forward to the countless adventures that awaited inside. 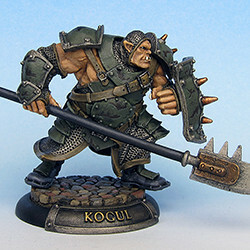 Kogul is brought to the tabletop using a Ogrun Bokur mini from Privateer Press mini.